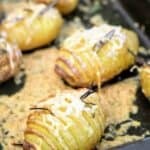 If you’ve never tried hasselback potatoes, they really are something extra special with their buttery flavour. 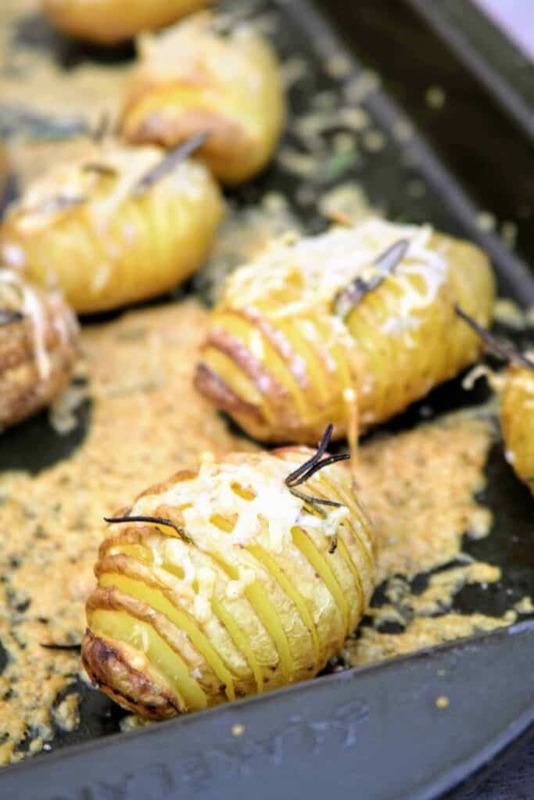 They’re a great alternative to a baked potato, or even on your Sunday roast dinner. But these are super quick. Why? 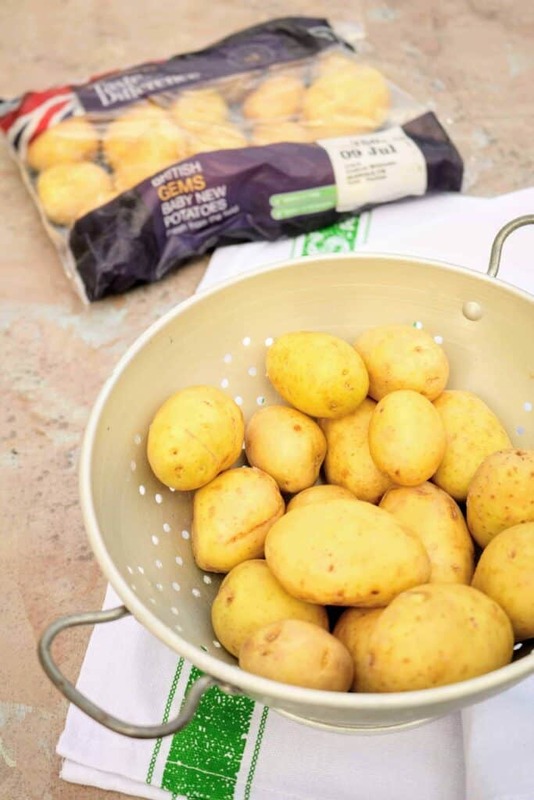 They’re using golden Sainsbury’s Taste the Difference British Gems baby new potatoes. which cuts the cooking time by more than half. They’re also Sainsbury’s freshest new potato currently back in season with a quick harvest that are picked and delivered within 48 hours. How can you beat that?! What I like to do is give them a good rinse. And they also need very little prep. Then, using two wooden spoons laid along side each other, I place a potato in between and slice in to 5mm intervals until my knife reaches the bottom. It’s a simple and foolproof way to avoid cutting all the way though and essentially cutting it in half. So before you pop them in your preheated oven, now’s the time to think about seasoning with what you want! 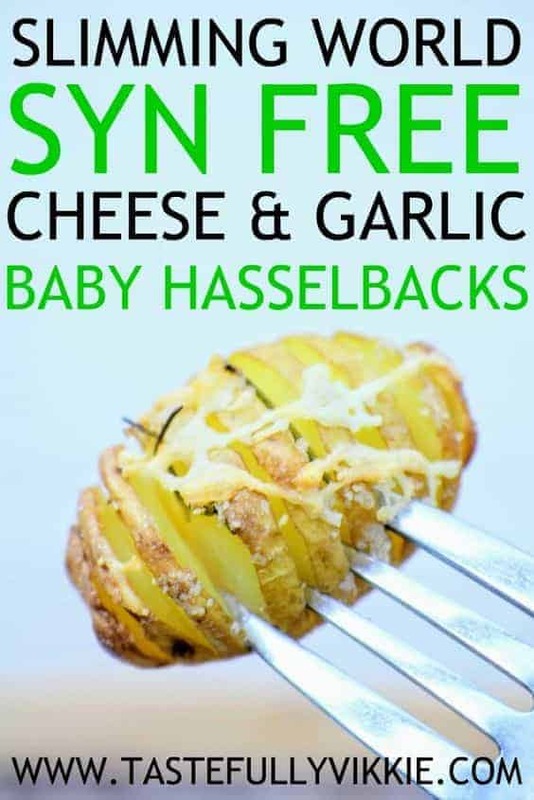 Here I used syn free garlic frylight, fresh rosemary and a pinch of sea salt and black pepper. Then to finish off, I grated with low fat cheese. Irresistable and made in a jiffy for those that are busy! These British Gems can be bought in 750g packs or loose in Sainsburys. 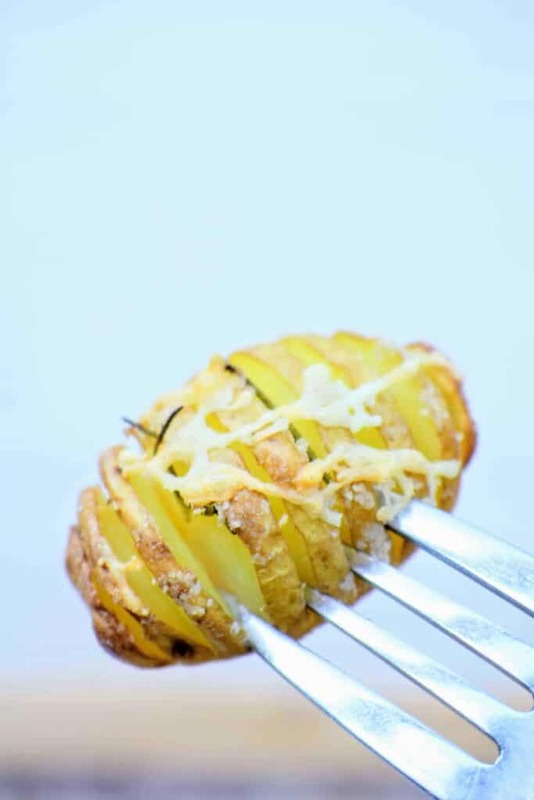 These hasselback potatoes are a deliciously quick partially sliced roast potato without the long cooking time. Preheat the oven at 220c, then wash and drain your potatoes. 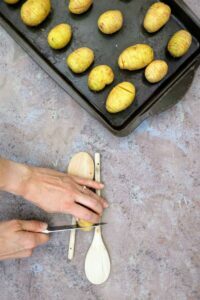 Meanwhile, rest a baby potato between the handles of two wooden spoons and slice in to the potato until your knife reaches the wood. 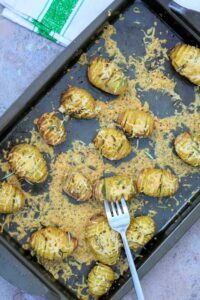 Now spray the garlic frylight, rub seasoning in to the skins and place rosemary leaves in to as many slots as you like. Place on a large baking tray and bake for 20 minutes, or up to 30 if they are not cooked throughout. To test, see if a sharp knife from the bottom. Once cooked, sprinkle over the cheese and bake for a further 5 to 10 minutes, depending how crisp you like your grilled cheese and serve. 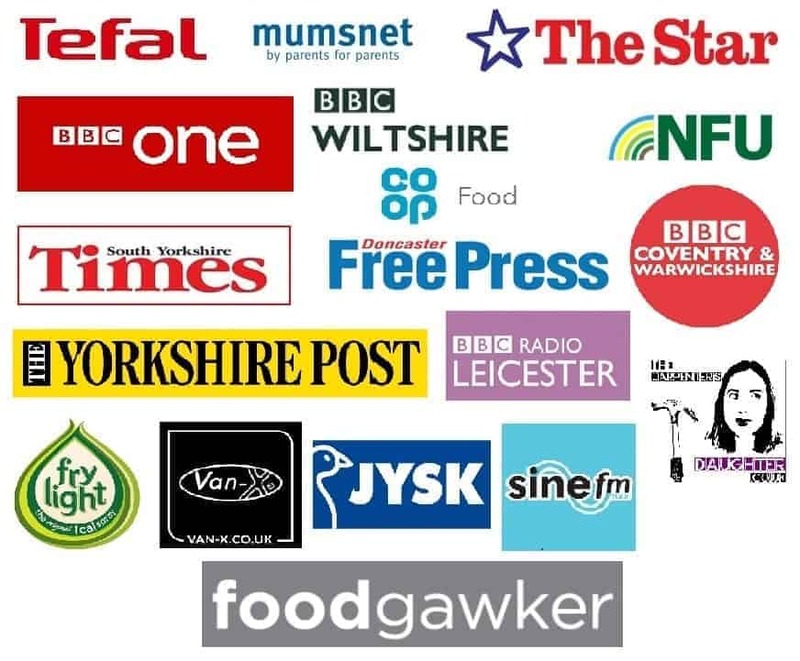 Here’s some more recommended British Gem recipes! 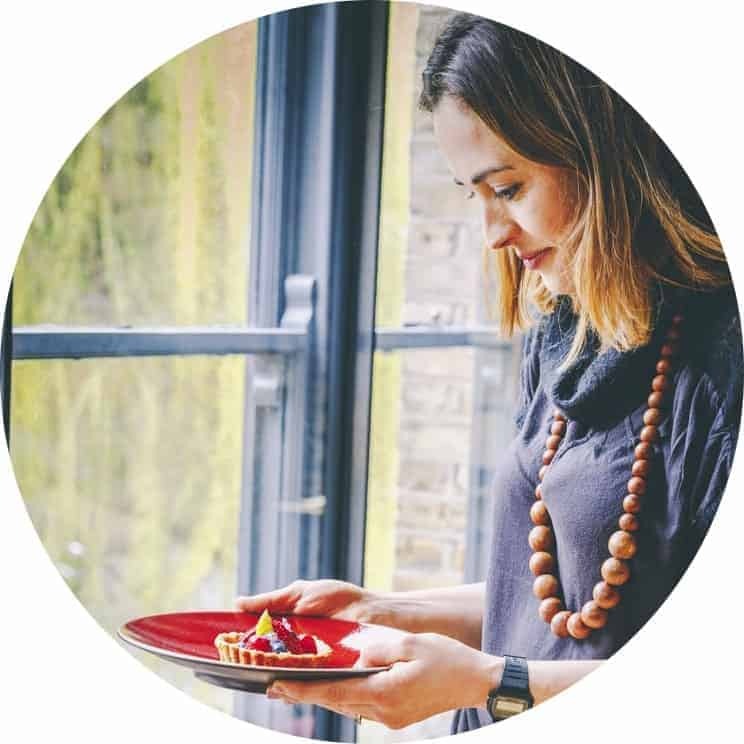 Diclosure: This recipe is commissioned by Sainsbury’s British Gems.